A 15 foot x 10 foot sculpture-chanderlier. 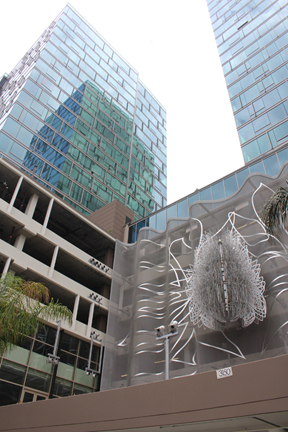 Exterior of the Vermont, located on the south-east corner of the intersection of Wilshire boulevard and Vermont avenue. The sculpture is made of laser-cut alluminum.